There are many problems associated with menstruation, from blemishes and cramps all the way through to painful and damaging disorders like Endometriosis and Polycystic Ovarian Syndrome (PCOS). If you haven’t been diagnosed you may have never even heard of these conditions or know what they are, but chances are you know someone who suffers from one or the other. Endometriosis affects at least 10% of women at a reproductive age, and PCOS in as many as 25%, that’s a lot of women! So, what are they and what’s being done about them? Endometriosis is when the cells from the uterus or endometrium grow where they shouldn’t (usually in the pelvis, bladder or bowel). It’s usually pretty painful and can be diagnosed at any time, but usually during your reproductive years. Long periods (more than five days), or a short cycle (less than 27 days between periods). Polycystic Ovarian Syndrome (PCOS), on the other hand, is a hormone condition that affects fertility and isn’t usually diagnosed until you start trying for a baby. While they both impact your periods, they’re both very different conditions and can’t be generalised or interchanged. PCOS is hormonal and treated by ovulation inducing drugs, insulin and weight management. Often, the biggest challenge with PCOS is getting pregnant. Endometriosis can be a cause of infertility as well, but presents a range of other painful symptoms that can affect a woman for years before she’s ready to conceive. The treatment for Endometriosis is often more invasive, requiring ‘key hole’ surgery to look inside the abdomen for endometriosis and treat it at the same time. 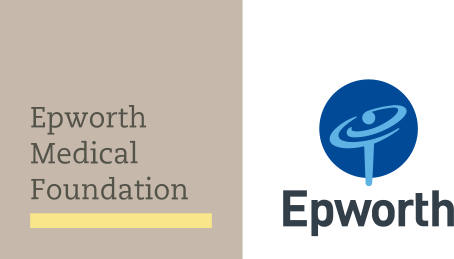 Epworth Geelong’s Women’s Health Clinic offers a range of services including women’s health checks (like cervical screening), contraception, assessment and treatment of pelvic pain and menstrual issues. They also offer referrals to specialists for complex women’s issues and surgeries. The clinic is run by female General Practitioners who are experts in supporting the physical and emotional health and well-being of women.